Retina is colossal and huge: The idea behind iMac has never wavered: to craft the ultimate desktop experience. The best display, paired with high-performance processors, graphics, and storage — all within an incredibly thin, seamless enclosure. And that commitment continues with the all-new 23‑inch iMac delivers such spectacular image quality that everything else around you seems to disappear. Adding up to the most immersive iMac experience yet — and another big, beautiful step forward. Accuracy. Brightness. Clarity. Regardless of how you measure the quality of a display, Retina is in a class by itself. The pixel density is so high that you won’t detect a single one while using iMac. Text is so sharp, you’ll feel like you’re reading email and documents on a printed page. And with a new, wider color gamut, the Retina display is able to deliver even more available colors — 25 percent more. So every photo and video you see appears even more true to life. Design Innovation from edge to cutting edge. 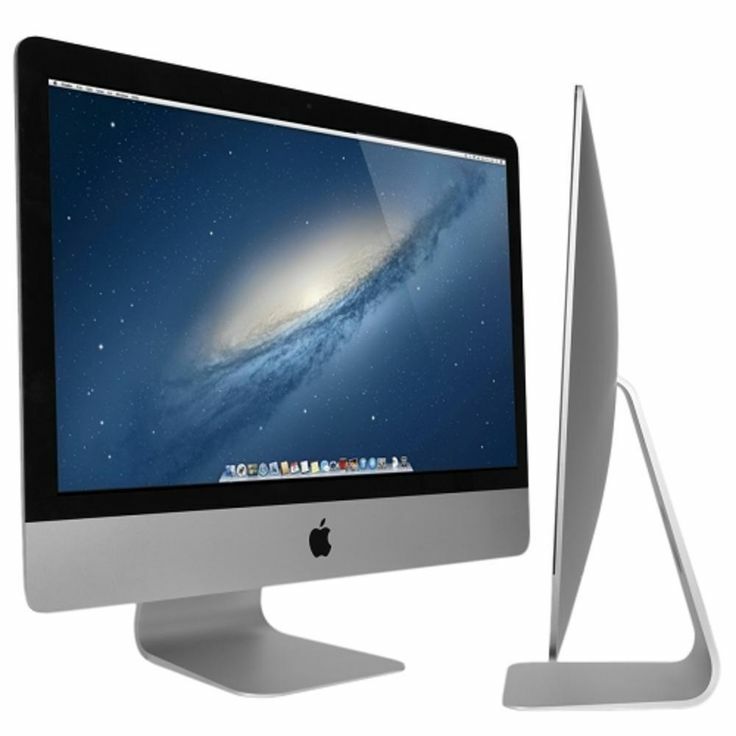 An incredible amount of engineering was required to bring the Retina display to the iMac family. Witness a design that’s just 5 mm at its edge — yet entirely capable of making everything around you fade into the distance. This ensures that nothing gets between you and your favorite content. Seamless and beautiful, iMac with Retina display is an elegant addition to your workspace, representing a depth of technology at the height of design. iMac is astonishingly thin. But it’s jam-packed with advanced technology. Two Thunderbolt 2 ports come standard on all iMac models and deliver blazing-fast data transfer for external drives and cameras. Four USB 3 ports give you plenty of options for connecting peripherals, including your printer, video devices, and more. And with ultrafast three-stream Wi‑Fi and Bluetooth 4.0 wireless technology, you’re instantly connected to all your favorite content. This spectacular iMac features an intel Core i5 with two independent processor "cores" on a single silicon chip, a 4 MB shared level 2 cache, an 800 MHz system bus, 4 GB of RAM (667 MHz DDR2 SDRAM, PC2-5300), a 500GB (7200 RPM) Serial ATA hard drive, ATI Radeon HD 2400 XT graphics acceleration with 128 MB of GDDR3 memory, a built-in iSight video camera, and built-in stereo speakers underneath the 23" glossy TFT Active Matrix LCD (1680x1050 native) display designed to "bounce sound off the desk below". Externally, the "Aluminum" iMac core i5" models feature "elegant" aluminum cases and have a glass cover that "joins precisely to the aluminum enclosure creating a virtually seamless front surface" -- compared to white plastic cases used by the models these replaced. 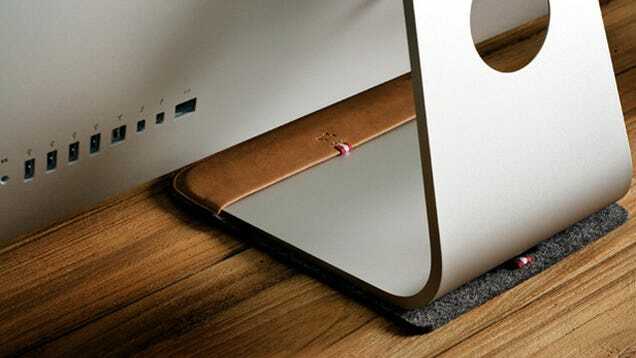 Additionally, the "Aluminum" systems were paired with a "new ultra-thin aluminum" Apple Keyboard (0.33 inches at the front edge) based on the polarizing keyboard design introduced with the Macbook. 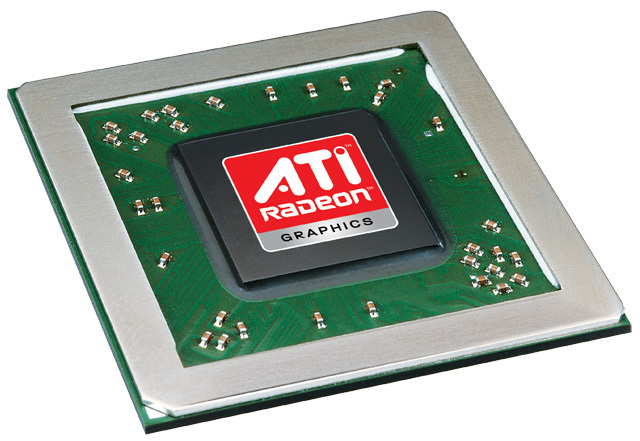 Internally, some "Aluminum Core i5" models have faster processors than their predecessors, but all have a faster "Santa Rosa" motherboard design with an 800 MHz frontside bus (up from 667 MHz), additional RAM capacity, and both a Firewire "400" port and Firewire "800" port. 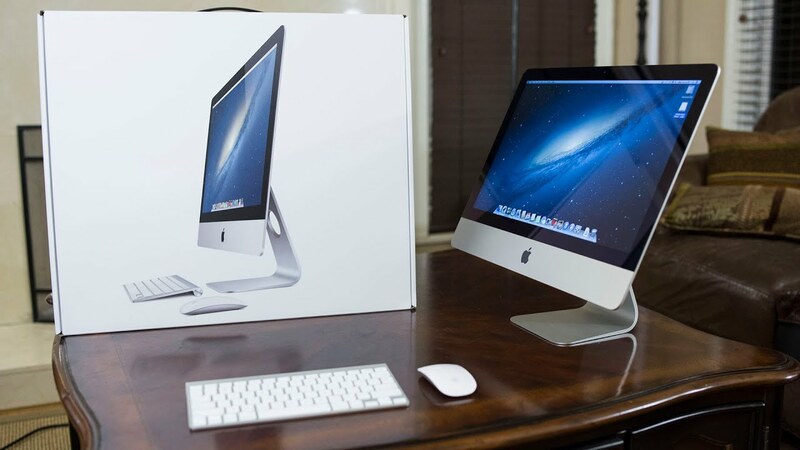 Order the Apple iMac and have it delivered to your doorstep within 1-3 working days or same day delivery within Nairobi. Payment on delivery.